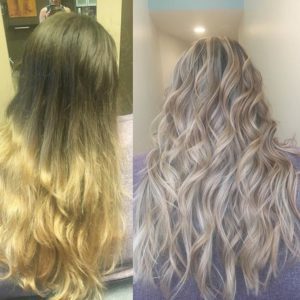 Blonde takes time! This before and after was achieved within four appointments. 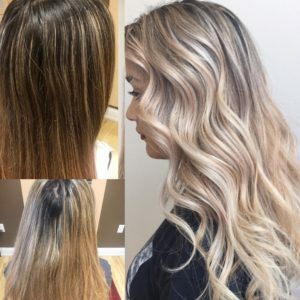 To keep the integrity of the hair while lifting the hair (make blonde), hair treatments are vital. 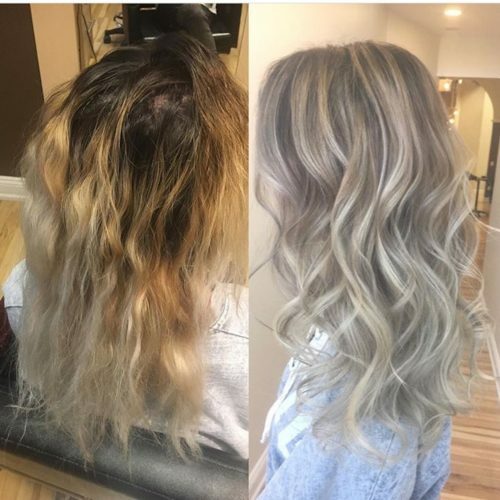 I took the existing blonde color to cooler tones while bringing the blonde up to the root using the balayage technique. Desire to be A Salon Owner?